Summer is here! Today is officially the first day of Summer and as such I wanted to share a recipe I created that is refreshing in the hot Summer months ahead of us. It is sweet, a little tart, and you can make it alcoholic by simply swapping the white grape juice for your wine of choice. A strawberry white wine would be delicious for the adults. 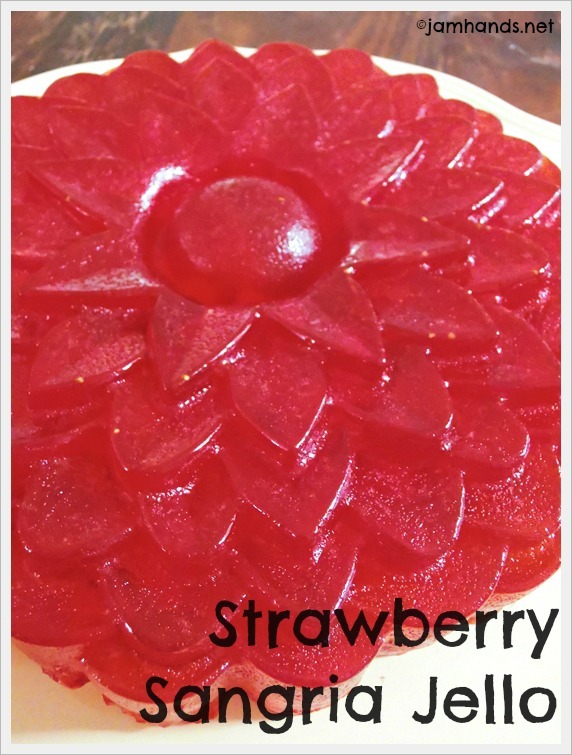 I got the flower mold from Wholeport, one of my sponsors. 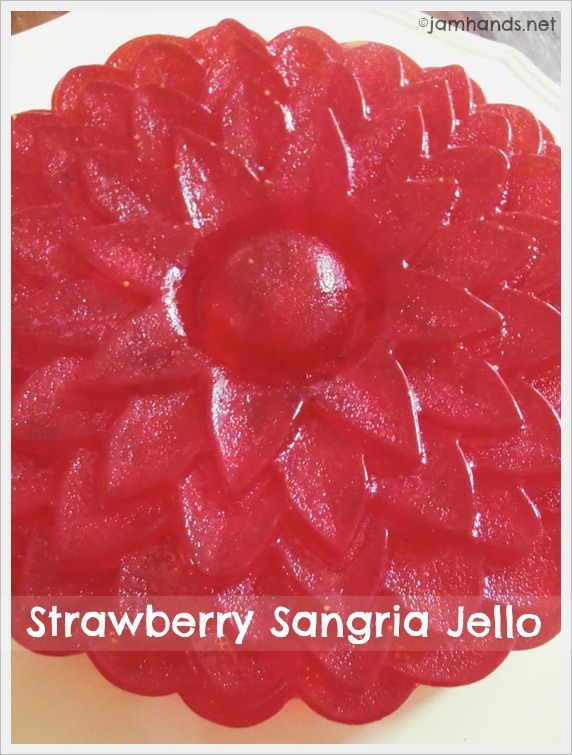 I was originally planning on trying out this mold by making a cake but the hot weather tempted me to try it out for Jello. I lightly sprayed the baking mold with a cooking spray before filling it and once it had set up I had the big test - does it actually come out of the dish easily. It did! We were actually quite surprised at how easily the jello make out of the mold and pleased that there was very little fuss to remove it. 1. In a large bowl dissolve the strawberry jello with the boiling grape juice. Cool 10 minutes. Stir in soda. Chill 45 minutes. 2. Fold in the diced fruit. Pour into sprayed jello mold. Chill for 4 hours. Invert onto a plate when ready to serve. Wow what a super idea! Looks lovely!! A really nice grown-up way to enjoy jello. Happy first day of summer to you.